Applied right, blusher gives a healthy flush. It energizes a tired face in seconds and creates wicked cheekbones. The plethora of colours available makes choices difficult, but sticking to rosy pinks and peaches works well for most women. These shades enhance natural skin tone. 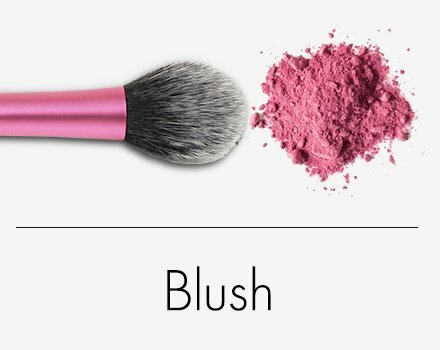 The point of blusher is to add colour to the face, not to reshape it! Gel Blush – Is great for giving a natural – looking glow to bare skin. Find the apple of your cheeks – Simply smile. Blush looks best when applied right on top of the cheekbones. Starting at the point on your cheek directly below the middle of your eye. If you mistakenly apply too much blush, wipe the excess off with a tissue before you blend. Blend the blush – Swirl the colour onto your cheeks in circular, outward motions and blend upward towards your temple, keeping it fuller in the cheek area. Blush that is too shimmery can leave you looking ashen and grey. Not blending enough can result in a horizontal stripe across cheeks. Muddy or grey tones can leave the skin looking dirty. Blue and purple tones can make the skin look bruised. I hope this post was helpful, have a great week …. Recommend me a blush on. I recently bought maybelline dream bouncy blush. Is it any good?